Historic Dumfries and Galloway: With its lively towns and villages in a combination of countryside & coast, this part of the country offers a quality of life that’s hard to beat. This part of Scotland is steeped in history, making it ideal for holidays, short breaks, or even day trips. The town has been a Royal Burgh since 1186, its charter being granted by King Robert III, a move that insured the loyalty of its citizens to the Monarch. The town of Dumfries is also an ideal base for visiting the many nearby attractions, the most notable being the romantic ruins of Sweetheart Abbey at New Abbey, and the impressive ruins of Caerlaverock Castle just east of the town. You will find an excellent shopping centre in Dumfries, a wide range of places to stay, from cosy hotels to friendly bed and breakfasts, and there are plenty of good eating places to choose from. I spent a week here, and found a few good restaurants, but the one that sticks in my mind is Bruno’s Restaurant, a family run Italian restaurant on Balmoral road, where I had some really good service, a delicious pizza and coffee. For keen golfers, the Pines Golf Centre is a golf course and driving range situated in the north of the town. Country memberships are available here at a reduced rate for people outwith the area to hold a handicap here. On the west side of the River Nith (great fishing for Salmon, Trout & Sea Trout) is the Robert Burns Centre, housed in what was once the Dumfries Mill. 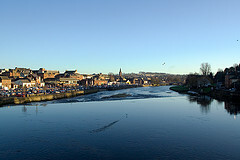 Dumfries was the hometown of Burns, our famous poet, from 1759 until his death in 1796. On the High Street is the Globe Inn, a pub he frequented. The Burns Howff Club was formed in 1889 in the Globe Inn, and meets on the 25th January each year to celebrate the anniversary of the birth of Robert Burns with a good old traditional “Burns Supper”. The Club takes its name from a reference made by Burns to the Globe Inn being his favourite “Howff” (old Scottish term for a meeting place). The Howff Club has an extensive library of Burns works and other poets. You can enjoy a walk along the deserted beaches where Robert Burns journeyed on horseback to catch whisky smugglers, or stroll through the rugged grandeur of the Galloway Forest Park, 300 square miles of forest, moorland and lochs, where you’re more likely to see a deer or bird of prey than another human. There are many Burns-related museums and sites amidst the town’s Georgian and Victorian buildings. 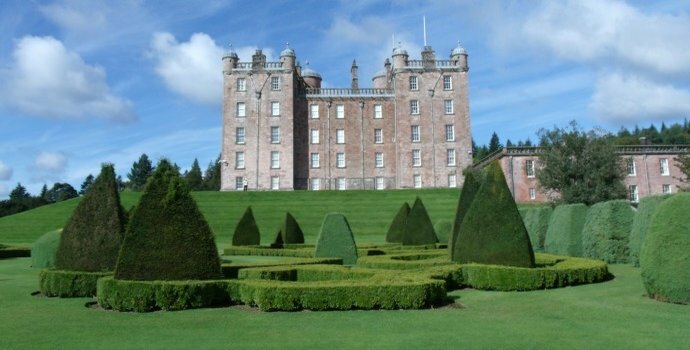 You’ll find the only Scottish museum devoted to the history of cycling, Drumlanrig Castle (pictured here), and there are over 450 miles of cycle routes in the area. The town is particularly well endowed with resource centres and it is a Mecca for those interested in family history. There is also a wealth of wildlife waiting to be discovered. If you have never been to this part of Scotland, you don’t know what you’re missing. So, you may want to consider visiting here to unwind and relax, and let the scenic landscape and atmosphere of this magical corner of Scotland work its spell on you. Find A Hotel In Dumfries. 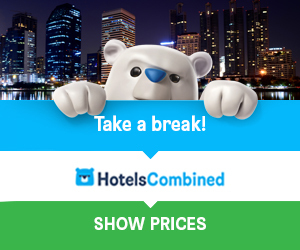 A comprehensive search facility to browse hundreds of hotels and compare prices for the best deal possible.